/ Does The Ghost of a Suicidal Marine Haunt This California Base? Does The Ghost of a Suicidal Marine Haunt This California Base? As World War II was underway, the U.S. Army and Marine Corps decided a large training base on the west side of the country was needed. By February 1942, the Marine Corps purchased 122,798 acres of land, which had been called Rancho Santa Margarita y Los Flores prior to that. Camp Pendleton was built in a five month time span. In September of that year, President Franklin Roosevelt dedicated the base, and many Marine Regiments visited during that time. 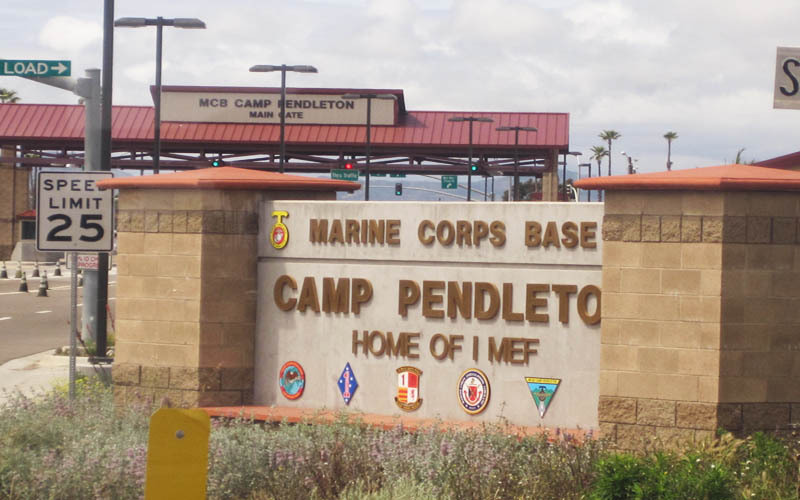 Since that fateful day, Camp Pendleton has been established as the largest Marine Training Base in the western United States. It hosts multiple specialized training schools, such as landing crafts, communications, and beach battalion school, as well as a medical field school. Sections of the base are broken down with designated names…And it is in Area 41, where paranormal activity is said to occur. According to the rumor mill, a young man once lived in Area 41, and was being trained at one of the schools. This man was in love, and had recently asked his girlfriend to marry him. After she had said yes, he believed the course of his life was being successfully mapped out. His career had been started, he would be married and everything began to sort itself out. But that didn’t last long. The marine was in his housing unit when his fiancée got a hold of him and told him that she was terminating the relationship. Allegedly, the marine was so shocked and upset by the break up that he found a gun and shot himself. Now, some marines are convinced his spirit remains in the area, and haunts Area 41 in particular. A marine in training named Michael (Names changed for privacy) was skeptical about the alleged haunting, but wrote about it to his wife, Rachel. When Michael was suddenly rushed to the nearby hospital because his appendix burst, Rachel was permitted to travel to the base to assist him. “I wasn’t allowed to stay on base, of course,” Rachel nodded. “But they did allow me to visit him in the hospital, which I thought was very considerate. When Michael asked me to pick up some of his spare clothes he had at his housing unit, I was permitted to enter and grab some of his belongings to take to the hospital. “Michael had written to me a month prior about the rumored haunting, and it was on my mind when I entered Area 41,” she said. “As I walked to his unit, I began hearing a faint humming on the wind. When I recognized it as the tune from Jeopardy, chills began to run down my spine. “Still…Michael needed his things, and there were several units around. It was entirely possible that somebody had a television set and just so happened to be watching the show as I passed by. I hurried into Michael’s unit and closed the door behind me. “As I began to gather some of his clothes in a duffel bag, I kept feeling like there was somebody standing behind me. Every minute or so I would check, but nobody was ever there. I got more and more freaked out, and literally starting throwing his stuff into the bag,” she admitted. “And that’s when I saw this…man, this transparent man, standing in the corner of Michael’s room. He was dressed in a Marine uniform and as I stared at him, he gave me the slightest nod. I was so freaked out, I ran several feet away before I tripped and fell to the ground,” she said, gesturing with her hands. “Many Marines came to my aid. When I told them about the man I had seen in Michael’s unit, they immediately went to investigate. But they didn’t see anybody in there. 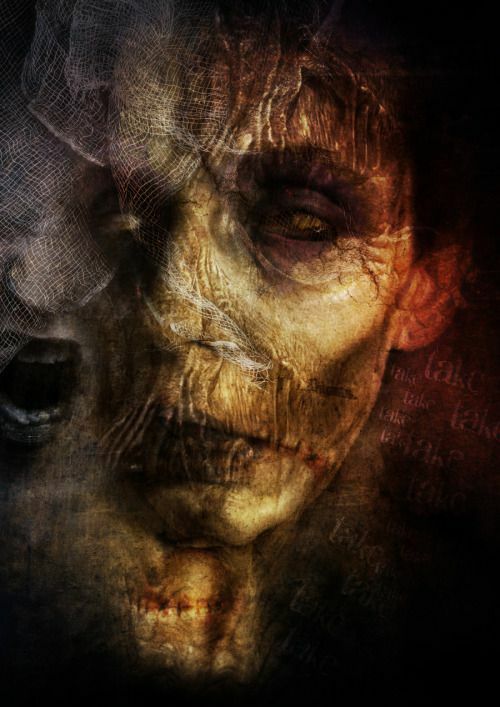 “A psychiatrist at Camp Pendleton told me that I had likely hallucinated the figure. He said that given the fact that my husband had just been rushed to the hospital the day before, it was probably a result of stress. But I believe it was the man who killed himself, letting me know that my husband was going to be okay,” Rachel whispered.